More than one in three people have had their medical details uploaded onto a central database accessible by healthcare professionals across the country, many without their knowledge, it has been claimed. The controversial system designed to ensure that doctors have fast access to brief details of a patient’s allergies and medication in an emergency, has accumulated the records of 22m people including children, the Daily Telegraph has learned. Campaigners warned that the majority of those patients whose records have been uploaded will not be aware and said there are dangers the information could be hacked, bought by private companies or matched to other publicly available details on individuals. Health Secretary Jeremy Hunt is keen to boost the use of IT in the NHS and wants the emergency services to have access to a patient’s medical records when they arrive to treat them in an emergency. He said also set a deadline of 2015 when he wants every patient to be able to see their own full medical record held by their GP online. David Cameron has also voiced his support that anonymised medical data be used for research purposes. The Summary Care Record was temporarily halted in 2010 when the British Medical Association and others warned that patient details were going online without their knowledge and therefore without proper consent. Minor changes were made, such as including an opt out form in the information pack, and the process restarted. The Department of Health said almost 40m people in England have been written to about the system and so far 22m records have been created. The Office of National Statistics estimates there are just over 53m people in England, meaning more than one in three people have had a record created. Children’s records are uploaded unless their parents opt them out and one created it cannot be deleted, only hidden. Doctors have to ask permission of the patient before looking at the record, unless the patient is unconscious and it is an emergency. 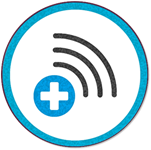 The SCR includes the patient’s name, address, NHS number, current medicines, allergies and adverse reactions to past treatment. It is feared that the SCR could be used to match anonymous details held by other public bodies to reveal indentities. Campaigners such as No2ID said the consent process remains insufficient because it requires that patients carefully read all the information sent to them to even realise they have a right to opt out. The Department of Health said just over one per cent of people have opted out. Guy Herbert, general secretary of No2ID, said: “The consent process was scarely changed at all. I would be surprised if even five per cent of people who have had a record created are aware. He warned: “We are concerned about who has access to this information. It could in future be bought by insurance companies, pharmaceuticals and looked at by other Government departments. A study by doctors of the first online Summary Care Records showed that around one in ten contained serious errors that could put patients at risk, by for example, omitting that they are allergic to penicilin or are taking the wrong medication. The British Medical Association was vocal in its concerns about the consent process but said the changes were satisfactory. A spokesman for the British Medical Association said: “The uploading of patient records onto the Summary Care Record system has been widely discussed in the past few years and the numbers now on the programme are not surprising. A spokesman for the Department of Health said: “The security and confidentiality of patient information has been and will always remain a priority. “The information on a Summary Care Record is limited to medications, allergies and previous bad reactions. Patients are in control of any additional information they want to add, and none of this information will ever be sold. “Knowing the latest information about someone’s health means safer, quicker care when they need it most. 22 million patients already have a Summary Care Record, giving healthcare staff working in urgent and emergency care more information to help them provide the care they need. “Technology doesn’t just help NHS staff to treat patients and save lives, it is also more convenient for patients. “It can mean that patients, particularly those who need a number of different appointments, no longer have to repeat details about their health and treatment to every person they see.